The American Library Association, Ohio Library Council, Cleveland Public Library, Cuyahoga County Public Library, and Rakuten OverDrive will co-host an event to discuss how public libraries are uniquely equipped to meet their communities’ workforce needs. The event is scheduled for Wed., Aug. 8, from 3:30 – 6 p.m. at OverDrive Inc.’s campus in Cleveland. 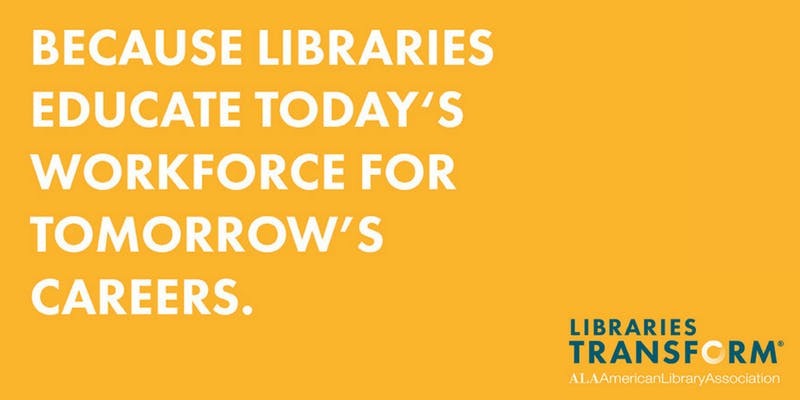 This inaugural event is the first of ALA’s national series, geared towards how libraries propel their communities forward. It will showcase how libraries in Ohio are meeting the needs of tomorrow’s workforce. The program’s keynote presentation will feature U.S. Representative Marcia Fudge (D-OH-11). Anchor and Managing Editor of WKYC-TV Russ Mitchell will moderate a panel discussion about Ohio’s libraries and their work to upskill people for the jobs of the future. Ryan Burgess, Director of the Governor’s Office of Workforce Transformation; Shontel Brown, County Council Representative (District 9) of Cuyahoga County Council; Jeff Patterson, CEO of Cuyahoga County Metropolitan Housing Authority; Dr. Denise Reading, CEO of GetWorkerFit; and library patron Mick Munoz, have been invited to participate in the panel. Members of Ohio’s Congressional delegation are invited to the event as well. The program will be followed by a reception from 5-6 p.m. at the same location. The ALA will broadcast the event live on Facebook. Tune into the conversation on Wed., Aug. 8 at 3:30 p.m. EST.